President Donald Trump and congressional leaders on Friday reached a short-term deal to reopen the government for three weeks while negotiations continue. 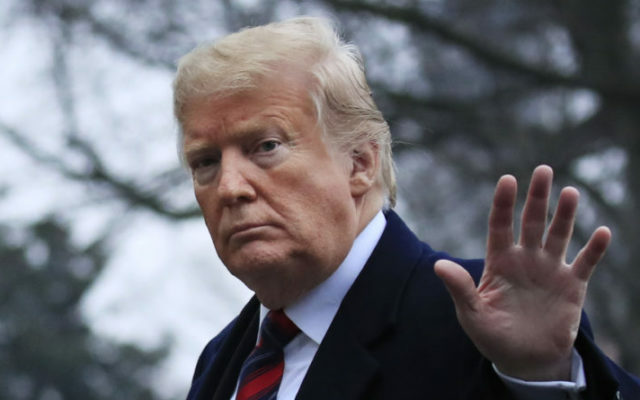 After saying for weeks that he would not reopen the government without border wall money, Trump said he would soon sign a bill to reopen the government through Feb. 15 without additional money for his signature campaign promise. He said that a bipartisan committee of lawmakers would be formed to consider border spending before the new deadline. As she entered the Capitol on Friday, House Speaker Nancy Pelosi, D-California, told reporters that decisions were ongoing in the Senate, referring to a meeting Thursday between Senate Majority Leader Mitch McConnell, R-Kentucky, and Minority Leader Chuck Schumer, D-New York, to explore next steps for solving the vitriolic stalemate. At the White House on Thursday, Trump told reporters he’d support “a reasonable agreement” to reopen the government. He suggested he’d also want a “prorated down payment” for his long-sought border wall with Mexico but didn’t describe the term. But after a Democratic proposal to end the shutdown got two more votes in the Senate on Thursday than a GOP plan, causing embarrassment for Trump, pressure mounted on the president to ease his demands in the name of reopening the government. BDN writer Michael Shepherd and Associated Press writer Zeke Miller contributed to this report.